Twilight has released and had itself a great bite so far, grossing $174 million worldwide. Summit Entertainment has greenlit the sequel "New Moon" but, since the go ahead for the sequel to the widely popular Stephenie Meyer creation news has been coming in and I got the updates compiled for you below. I myself have not seen Twilight yet, so have no real connection one way or the other to the director or the sequel, but for fans of the first film's direction and characters, you may be in for a doozie! Summit Entertainment today set the release date for New Moon tentatively for November 20th 2009. The quick turn around Summit is hoping for reminds me of Lionsgate's franchise Saw, which has come like clockwork every year in October. The Saw series has not stuck with the same director, neither has Harry Potter and their grossing power has not dwindled, so the shift isn't to surprising. Based off the word of mouth on Twilight, a new director has the potential to create a far superior film, then what Twilight presented. Whoever is chosen for the role, is definately going to have a quick time table in front of them. EW reports Summit Entertainment wants a new director hired and in Vancouver by December 15th to begin 12 weeks of pre-production on New Moon, before a mid-March start date. Has Summit Entertainment looked at a calendar? Its December 10th! So who is going to take on the next Stephenie Meyer novel? 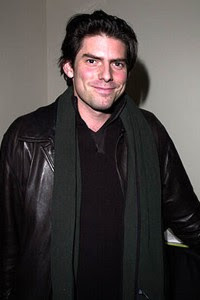 At the present moment, Summit Entertainment has an offer out to American Pie and Golden Compass director Chris Weitz. Weitz, who made oodles of cash for Summit and put them on the map with American Pie back in 1999, seems like an easy choice for Summit, with the studio having had a working relationship with Weitz in the past. Golden Compass was just an okay film that definately didn't wow, so Weitz doesn't create a rising anticipation level that a director like say, Alfonso Cuarón would. The next bit of sequel news for Twilight comes for one of the characters. It appears Summit Entertainment isn't all that happy with Taylor Lautner, who plays Jacob in the series. Summit's warranted concerns come from the looks of Lautner. The studio feels he is too baby faced to continue the role. 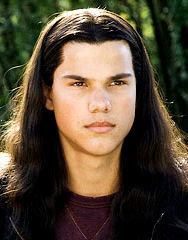 (Dude looks like he belongs on the Disney Channel or Nickelodeon) In the books, Jacob leads a clan of werewolves, who just happen to also be Native American. The Native American hertiage also poses another problem for Summit. 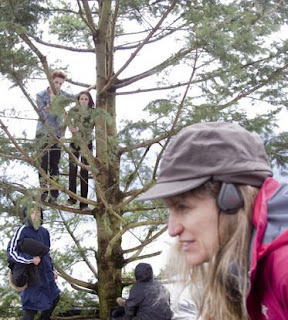 Casting a clan of Native American teens may become a real concern for New Moon. In Lautner's defense, the sweet-faced actor's agent has reached out to the imaging comapny behind The Curious Case of Benjamin Button, to show Summit Entertainment what a beefed up Lautner could do for New Moon on film. With a larger budget on New Moon, Summit is sure to beef up special effects for the sequel.